Childhood accidents that are common in the summer include everything from falls at the pool to getting cut by sea shells. It's important for parents to be on their toes to avoid dangerous situations. During summer vacation, children spend more time outdoors and are more active in general. And as parents, we need to pay more attention than ever. In today’s article, we’ll talk about the most common summer accidents involving children. The fact of the matter is, childhood accidents can happen any time of year. Just the same, these unfortunate events are much more likely to take place during the summer. Why? Basically, it’s because summer’s warm and pleasant temperatures invite little ones to spend more time outdoors or in their homes. As a result, the risk of danger increases. Of course, this doesn’t mean that you have to deny your kids the opportunity to have fun. However, it does mean that you need to be aware of the increased risks, and be attentive. We also shouldn’t neglect mentioning the fact that, if you travel somewhere unknown, your kids will want to investigate and explore places that may be dangerous. In doing so, they may get hurt before they know it! Small children between the ages of one and four are especially vulnerable to bumps, falls and accidents in general. This is especially true with boys, as girls are generally more calm and cautious. Of course, there are always exceptions to the rule! 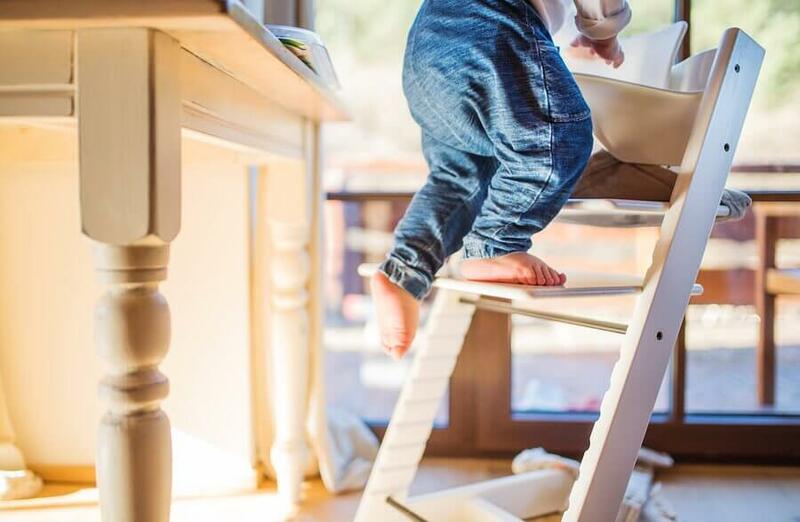 One out of every four childhood accidents occurs because of a lack of basic preventative measures. In other words, they happen because parents are careless or don’t provide proper supervision. But of course, parents can’t prevent every single accident. Even when we’re careful and attentive, children can fall and get hurt in the blink of an eye. What are the most common summer accidents involving children? If you have a pool by your home, or take your children to a pool, be careful they don’t walk too close to the edge. Falling into the pool is an all too frequent accident involving children, and these falls can be fatal – especially if the child doesn’t know how to swim. To keep your little ones from falling into the pool, you should place safety gates around the pool’s edge. Or, you can simply keep them from playing in the pool area – especially if the floor is wet. When it’s hot outside, it’s normal for kids to go to the park or take a ride around the block on their bikes. Children need time to learn and control their bikes. In the meantime, they may fall, lose balance, and run into people, trees and other objects in their way. While kids are learning to ride their bikes, parents should stay as close as possible. The use of helmets is the best way to avoid dangerous and painful bumps to the head. Among the most frequent childhood accidents that occur in the summer, we have to mention those that take place on the beach. For example, when children are walking down the shore barefoot and cut or poke their foot on something in the sand. The culprit can be everything from a tin can to a crab’s claws. When little children are still unable to recognize danger around them, then it’s best not allow them to walk barefoot. There are very comfortable water shoes available on the market that protect their soles, toes and heels. As we mentioned above, it’s normal for children to spend time playing in the park during the summer months. 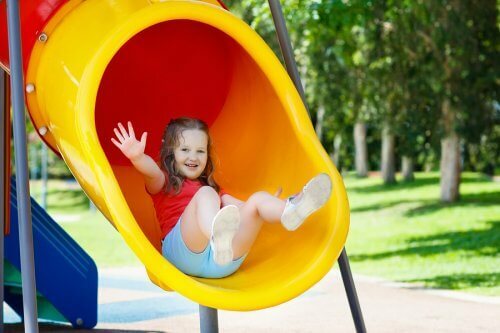 This is another common setting for accidents – specifically, on playground equipment, trees and park benches. Parks are full of children during vacation time and this increases the risks. They can run into each other, get hurt, get hit, etc. It’s very important for parents to play close attention to where their children are and what they’re doing. And of course, make sure they don’t play games that aren’t suitable for their age. Without a doubt, parents should always be careful to store cleaning products and other toxic substances out of children’s reach. However, when you’re on vacation, you may not have this same option. Another one of the most frequent summertime accidents involves children ingesting toxic substances. When small children find something that calls their attention, it only takes a second for them to put it in their mouths. It’s also important to be careful when we travel to the countryside or to the woods. Some seeds, fruits, flower and insects can be poisonous. At the same time, make sure you have emergency medical care close by in the unfortunate case you may need it.